There's so much to explore in the land of Seaquestria! 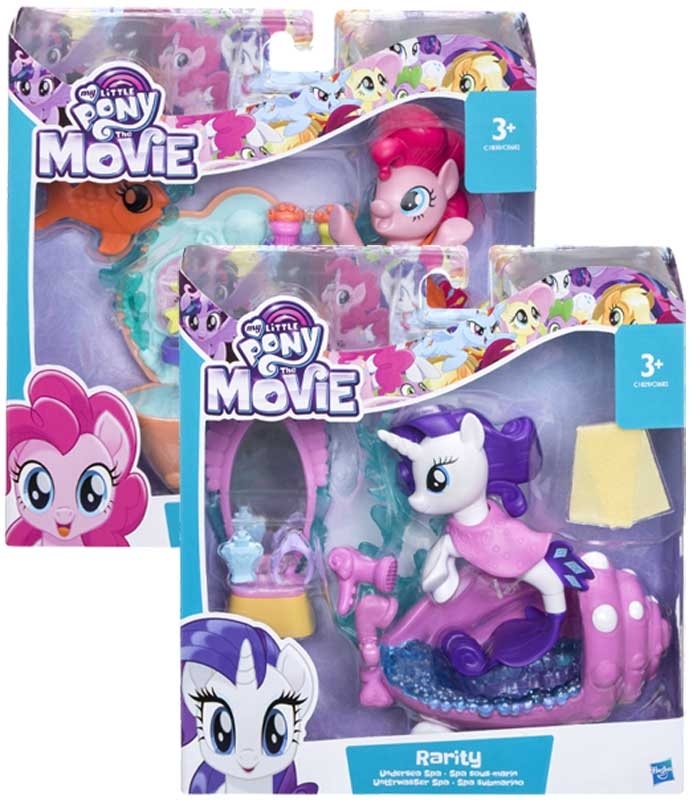 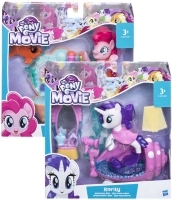 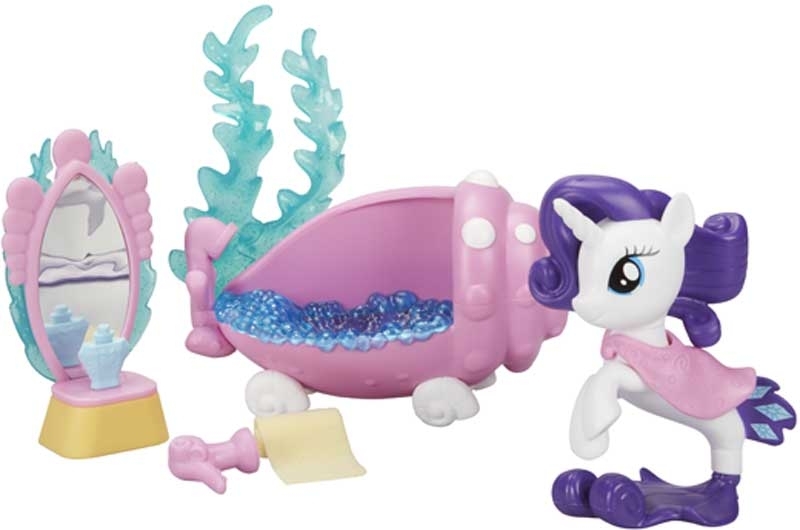 Inspired by the My Little Pony: The Movie, these Sparkle seapony figures have a beautiful tail and a cutie mark on their back fin. 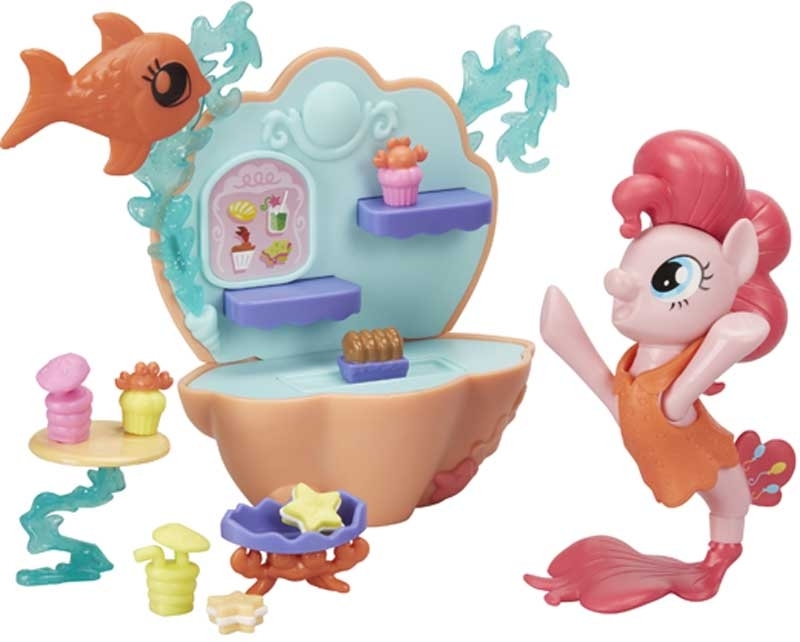 At approximately 3-inches, the seapony figures are decorated in glitter for sparkly adventures undersea friends.